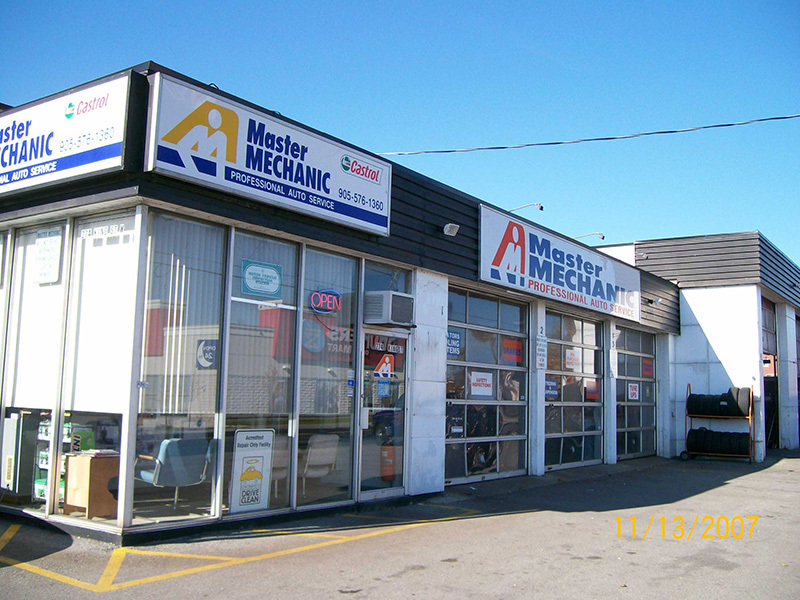 Your local master mechanic, Michael Walker and our team welcomes you to Master Mechanic Oshawa! We hope that you can find all the information you need to familiarize yourself with who we are, what we do and how you can find us. We promise to do our utmost to deliver our professional service in a very personalized manner and we thank you for wanting to learn more about us. We are located in the heart of the city at the corner of Park Road North and King Street West, just minutes from Oshawa Centre. Residents of Oshawa and Clarington can rest assured that their visit will be easy and convenient. Master Mechanic Oshawa promises to take care of you in whichever way possible to ensure your vehicle is running in top condition. We wish to be the only auto repair and maintenance choice for each of our clients by creating long term relationships which have been earned through consistent delivery of outstanding service quality in an environment which promotes trust, fairness and respect. It is this dedication that differentiates us from our competitors as we continually strive to deliver an outstanding customer experience to each one of our satisfied customers. Trust Michael and his team to be your car's dedicated maintenance shop. "Pete D [...] Mike and Ronda are a pleasure to talk to and I love the genuine care you feel from them when it comes to providing honest work. Fairly priced, gave me options and work done in a timely manner (also provides shuttle service). If you are in the market for switching or trying a new place out, give them a call! You won't be let down from the first time you visit there." "They are personable and knowledgeable, I find they are very fair on price and fast service that is done well, why I have been bringing all my vehicles for the last 7 years. Keep up the good work guys." Been bringing my cars here for 7 years, keep up the good work! "Took a minor problem from another businesses repair work on my vehicle here - fixed it and all it cost me was a smile - was very happy with the service and appreciation. Definitely referring business here." "So far so good. Was well looked after. Listened to. Really couldn't have asked for more. Also over heard reception staff and owner discussing vehicles and repair options. Everything was thorough and thoughtful and upfront. I'll be going back." "If I could give 10 stars I would! Moved to Oshawa from GTA about a year ago and never committed to one mechanic/shop locally as I've had either not-so-pleasant experiences or have read enough mixed reviews on Google and Yelp to push me away from trying others. Working in a public setting, I constantly asked locals about recommendations and Master Mechanic kept coming up. Mike and Ronda are a pleasure to talk to and I love the genuine care you feel from them when it comes to providing honest work. Fairly priced, gave me options and work done in a timely manner (also provides shuttle service). If you are in the market for switching or trying a new place out, give them a call! You won't be let down from the first time you visit there." "I still can't believe the customer service I received at this place. Something went wrong after changing the fluids in my transmission, because of an additive I had asked them to put in, a product called Z-MAX, which really screwed up my transmission, or at least we think that seems the be the culprit. Well they changed the fluids again for free to see if that would fix it and I it didn't work so they just went ahead and put in another transmission ( and one that had much less mileage then my original one ). All that without me having to ask anything at all, they just did everything till the problem was solved, whatever it took. I still can't believe it! Well, the proof is in the pudding and that was great pudding ;) Oh, and they are nice people too!" "Thank you to the awesome staff that made a stressful situation into a calm one. Your timely service made all the difference. I will be referring my clients to your great team! " "I have been a customer with Master Mechanic for a long time. I can't believe what Michael did for me this weekend. I brought my Mazda g6 in for a repair on the manifold. The job took longer as another problem with the rear catalytic converter also needed repair . They knew I had to take my dad to Oshawa cancer hospital on Monday at 7 am. They tried to get it ready but ran out of time. I received a call from Michael Sunday morning letting me know the car was ready to pick up. It truly brought tears to my eyes to see how dedicated he was to customer service. I cant thank him enough for coming to my aid."